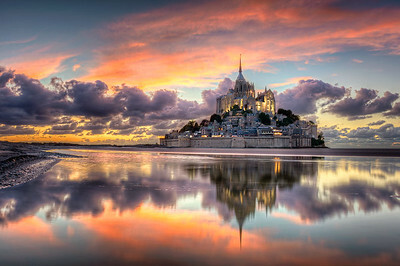 The Mont Saint-Michel is situated in the south Normandy, France. It is an incredible and surreal rocky tidal mountain surrounded by quicksand and water. 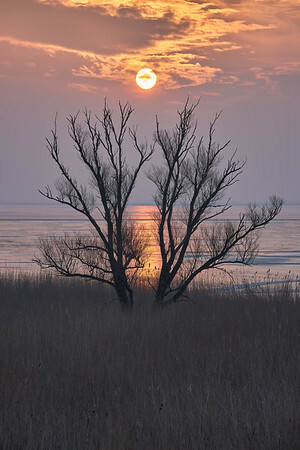 The tide rises up to 15 m, constituting the highest tide of the whole Europe. On the mountain there's a monastery and lots of restaurants, museums and stores. It is very pleasant to spend a day walking through the labyrinths of it's streets. I was lucky to be able to shoot such a beautiful sunset. To get this view I had to wait for the low tide and walk 400m barefoot on quicksand. It wasn't possible to stay too long on the same spot, as I began to sink. That made it difficult to shoot long and multiple exposures, as the tripod legs would continuously sink, but eventually I got some good shots. 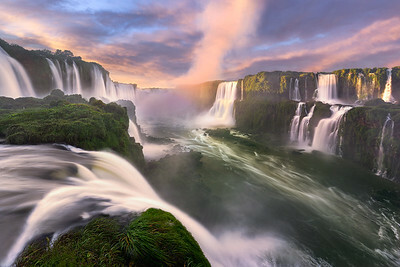 The Iguazu Falls are unlinke any waterfall on earth. An average of 1,7 million l/s rushes over 275 individual waterfalls 2,7 km wide, with some drops reaching 82 m high. It is reported that the first lady Eleanor Roosevelt could only exclaim "Poor Niagara!". It is a wonder too see and a challenge to photograph. Neuschwanstein Castle, built on a rugged cliff against a scenic mountain backdrop, is one of the most beatiful castles I've ever seen. It was built for King Ludwig II between 1869 and 1886, intended to "embody the true spirit of the medieval German castle". 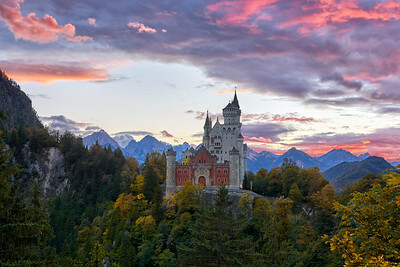 There's a lot of mistery surrounding the castle and the life of king Ludwig II, specially about his death. A visit to this castle is like a time travel into the 19th century and into the mind of a mad king. 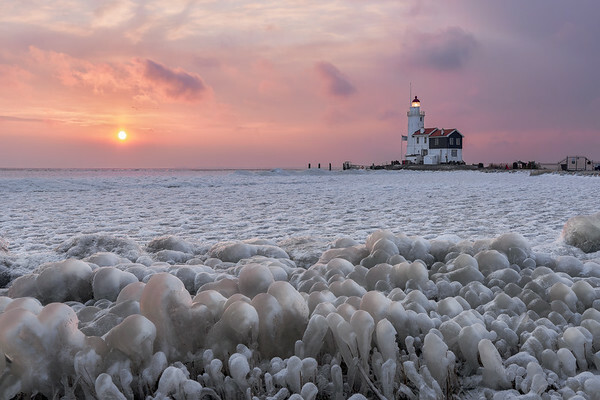 Cold morning in the Netherlands, with frost and some surprisingly amazing skies. 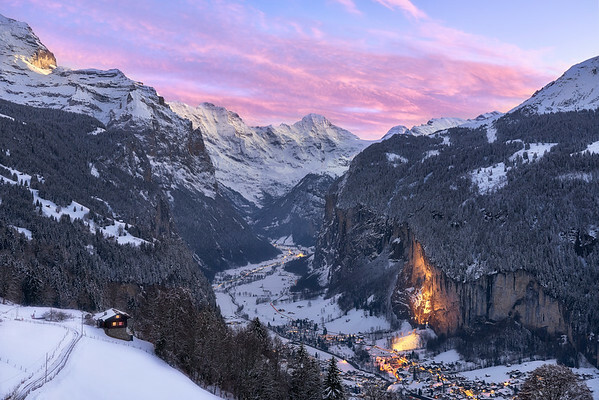 The sunlight was fading in the Lauterbrunnen valley as the city lights turned on. The valley is known for its 72 waterfalls. During winter they are almost all frozen or have a very low flow. The spotlight in the wall highlights the 297 m high Staubbach Falls, the third highest waterfall in Switzerland. This is one of the most beautiful places I have ever visited. No wonder why Tolkien took it as inspiration for Rivendell. 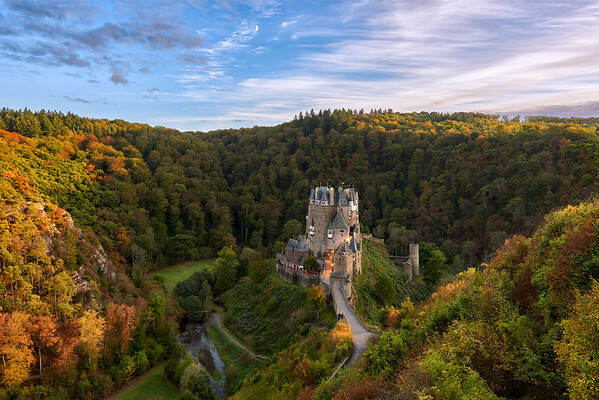 The Eltz Castle (Burg Eltz in German) is a German medievel castle close to the cities of Trier and Koblenz. There are many impressive aspects about this castle. The geographical location for once is very special. The castle is situated in an elevation in the middle of a valley with a stream around it, surrounded by nature on all sides. A visit there is like a time travel to the 12th century, with no urban noise, light or any other sign of modern civilization (besides the road to the castle...). Having visited several other european castle, I know this is a very rare feature. Another impressive fact is that the castle is still owned by a branch of the original family that built it (33 generations ago!!!). It is a beautiful scenery and definetely worth a visit. 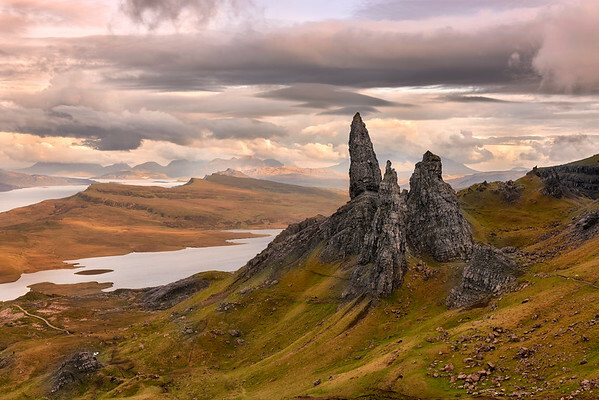 This is perhaps the most iconic view of the Isle of Skye. I love how the rugged rocks contrast with the gently grassy slopes in the background. The ascent takes 1 hour and 15 minutes and has a very clear path. It is definitely worth the effort! Eiger, Mönch and Jungfrau are the three famous mountains of the Jungfrauregion in Switzerland. 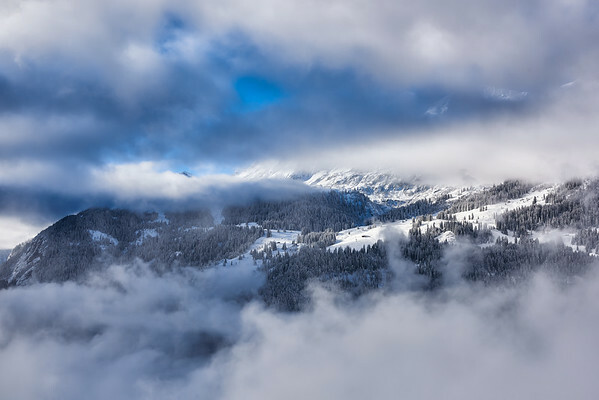 This is the view from just above the Kleine Scheidegg ski station. You can also see the glaciers, which are covered in snow during winter. Just for size comparison, the elevation difference between the station and the top of the Jungfrau mountain is of over 2000 m.
Hiking in Switzerland is just wonderful. It is like an overdose of beautiful landscapes. 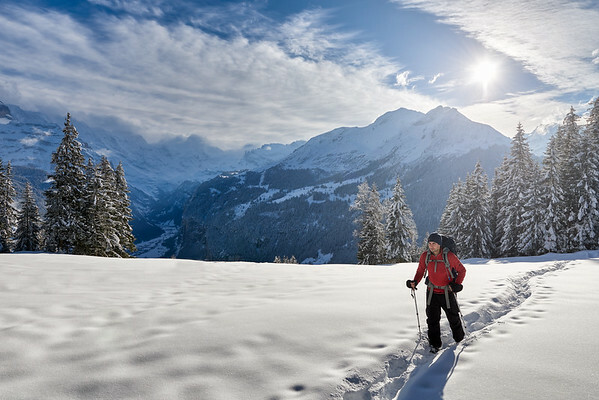 I took this picure on a trail close to Wengen, in the Jungfrauregion. The valley on the back is Lauterbrunnen. 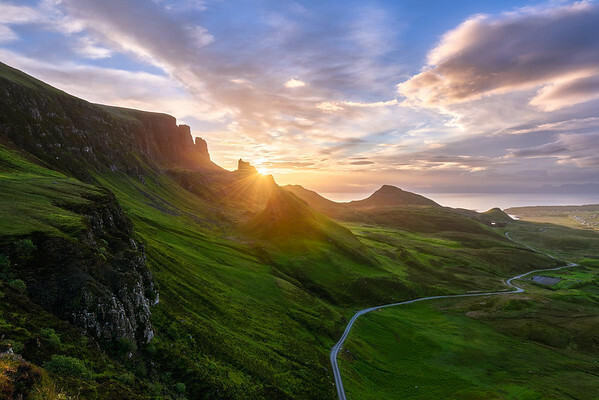 The Quiraing is an impressive landslip on the Isle of Skye, Scotland. It is an unique landscape looking like nothing in the world. Definitely a must see in Skye. It is also an awesome place for hiking, featuring several different routes. Shooting this place during sunrise was a great experience. I had the feeling I could point my camera anywhere and would get an awesome composition. It took me 40 min drive to get there, having to dodge sheeps on a single track misty road, what added to the awesomeness of the place. Don't miss this one if you're in Scotland. 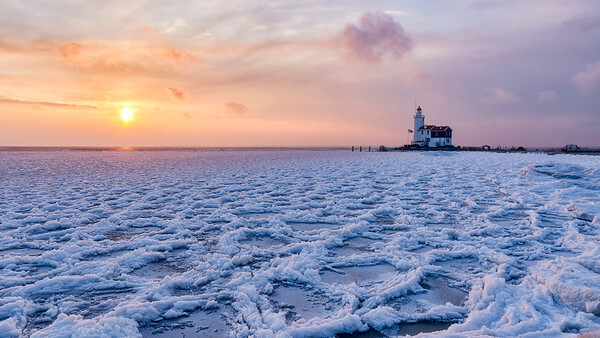 Beautiful sunrise at the Paard van Marken, in the Netherlands. 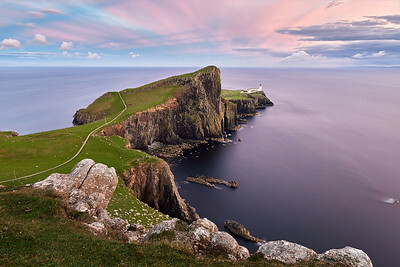 The Neist Point is the most westerly headland on the Isle of Skye, in Scotland. 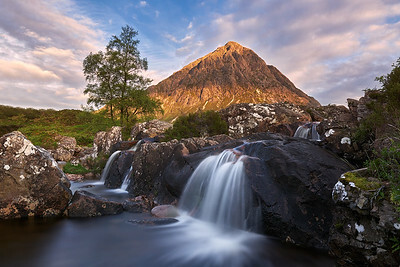 There are a lot of amazing places to visit in Skye and this location is surely among the most impressive and photogenic ones. The breathtaking view of the cliffs and the lighhouse blending perfectly with the changing weather together with the wildlife (birds, seals, whales etc.) make you just want to sit down, take shelter from the wind and appreciate with awe as the sun goes down. 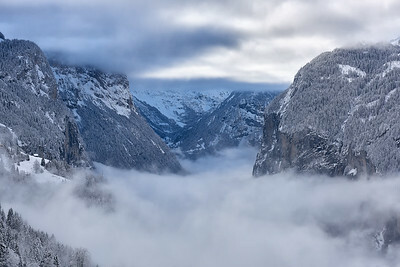 Being trapped between layers of fog and clouds in a cold valley felt like some sort of winter dream. The fresh, cold morning air, the quiet numbing silence and the amazing view added to the amazing experience I had in Switzerland! Dutch forests are extremely beautiful and photogenic. Here you can find arguably the most peculiar beeches in the world. Linderhof Palace in Southern Germany. 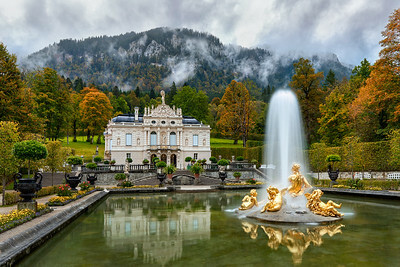 The Linderhof Palace is one of the four castles built by the king Ludwig II. It was inspired by the Palace of Versailles, although much smaller. The Palace is surrounded by a beautiful landscape, placed harmoniously in a valley on the Bavarian mountains. Hallerbos is a mystical forest in Belgium all carpeted with bluebell flowers. 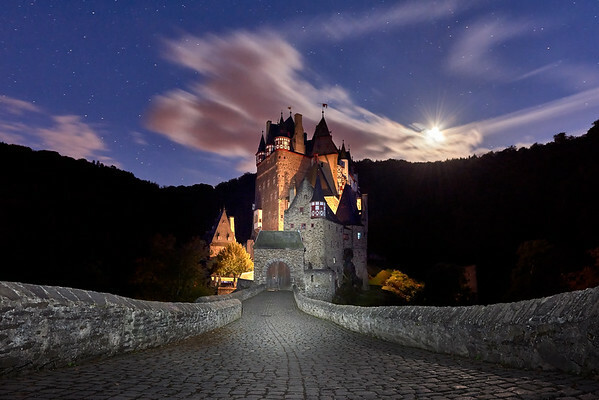 The Eltz Castle looks straight out of a fairy tale at night!